Progression’s the name of the game in DanMachi. Every episode, Bell gets stronger and closer to becoming his ideal hero. 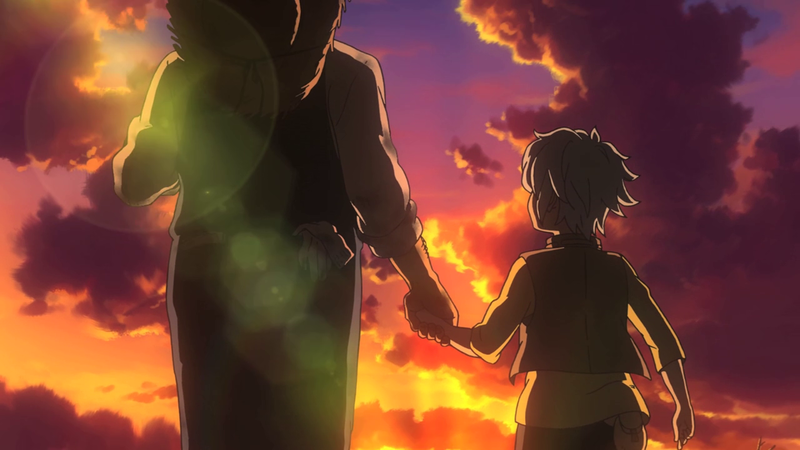 The difference between DanMachi and most other series is that this progression feels well-deserved and well-explained. It’s not like Bell suddenly gets overpowered between episodes or after some montage. Everything so far as been shown, from getting Hephaestus’s knife to learning magic this episode. This legitimizes his growth and makes it feel organic; we really get the sense that Bell is getting more powerful. But what I really like is that Bell’s personality doesn’t ever change with his newfound ability. He’s humble, naive at times, but ultimately always true to himself. When asked why what magic is to him and why he wants to learn magic, he acknowledges his inner weakness and his desire, not to save the world or protect his friends, but to be a hero his grandfather would be proud of. How can you not admire that? Once again, there’s no immediate change in his attitude after getting magic either. Bell just indulges himself in a magical romp through the dungeons, as foolish as it may be, and let’s be honest, I’m sure many of us would do the same. 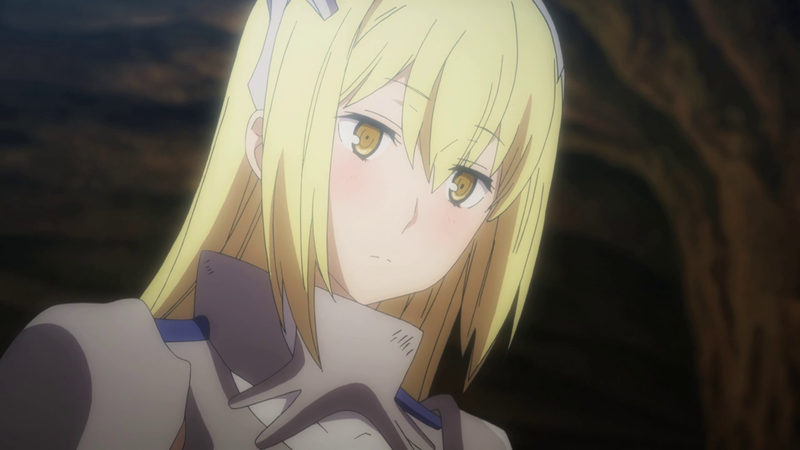 Luckily, Bell has his second run-in with the mysterious beauty Aiz, though he unfortunately runs away again thanks to his embarrassment. Though it seems as though Aiz may not be the cool wonder that she first appears to be, showing some signs of embarrassment herself. I’m wondering if she’ll ever be a predominately recurring character, or just stick to being someone who pops up every so often while being that star in the sky that Bell is continually chasing after. The Soma situation comes up again, and we learn that Lili is stealing from adventurers to pay off a debt she owns to the Soma familia. Unbeknownst to Bell, Lili still intends to pawn off his knife, but he still defends her when he realizes that she’s in trouble. Next episode, we’ll surely see some progress towards a conclusion for this whole Soma familia fiasco. 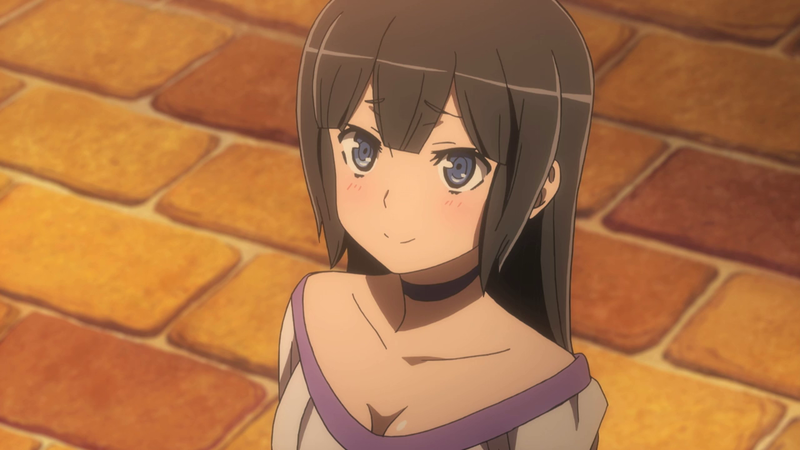 Let’s also take a moment to recognize how much better Hestia looks with her hair down and in normal attire.